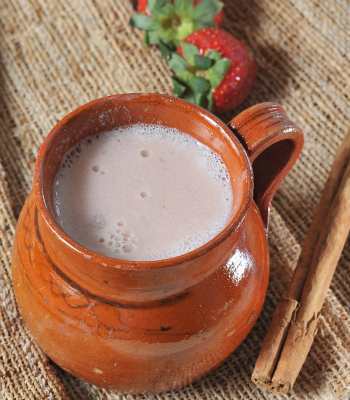 Atole is a corn based drink, served warm. It is usually served during holidays, though it’s also the perfect drink to start or end the day! You can make this drink from scratch (instructions below) or use a sachet to make your atole (click on the pictures). Wash and cut the strawberries. In a pan filled with the water, tip the strawberries and the cinnamon stick. Boil for 5 mins and let cool. Remove the cinnamon and blend the strawberries without the water. Dissolve the corn starch in 1/2 cups water. In a saucepan, pour in the milk and the pinch of baking soda, cooking until the mix starts to boil. Add the strawberries and mix. Add the dissolved corn starch. Lower the heat, add the sugar and mix well so no lumps form. Cook for around 3 more minutes or until desired consistency is achieved. Instructions: In a bowl, dissolve the rice flour with the milk until no lumps are left. In a saucepan, heat the milk. 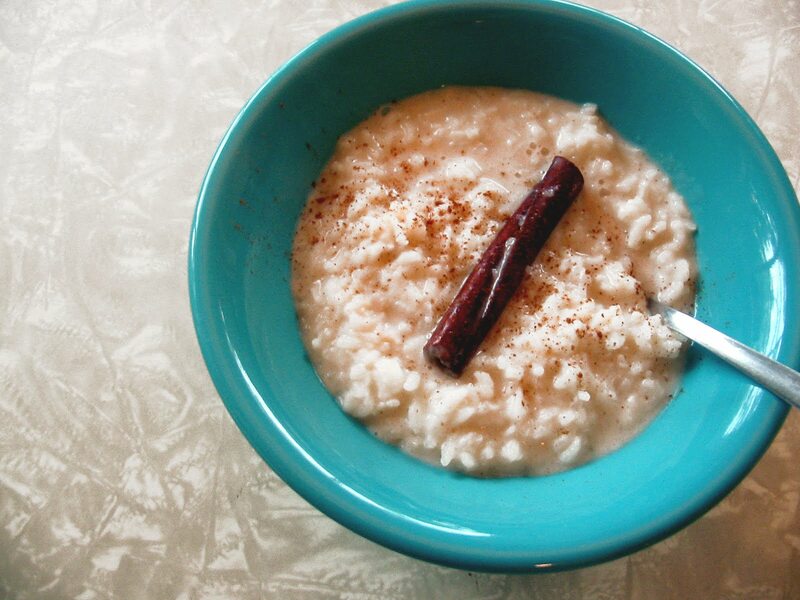 When it stars to boil, gradually add the dissolved rice flour mixture, stirring continually. Add the cinnamon slit, then the sugar. Cook for around 3 minutes more, then let cool. In a large saucepan, boil 3L milk. Add the chocolate when milk starts to boil. In a bowl, add the cold milk and mix in the rest of the ingredients, mixing until well incorporated. Add this to the saucepan, mix very well and let boil for about 5 minutes. 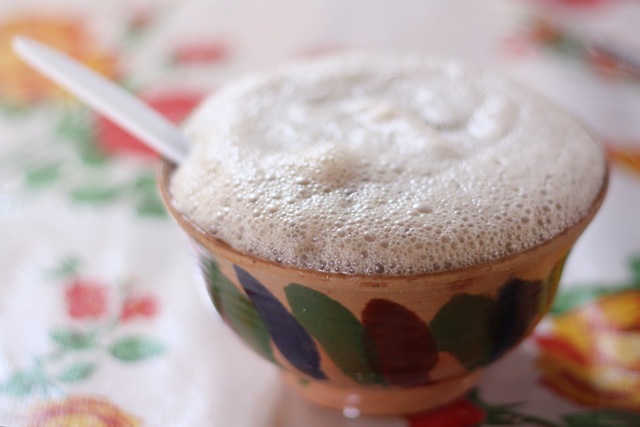 These drinks can be served as breakfast o as dinner, with a side of sweet bread or tamales. Provecho!